Description: Economy Car Cyprus is proud to be known as one of the most well respected and well established car hire companies in Cyprus, Limassol-based. iBiz Cyprus is an online business directory which provides information about business and organizations in Cyprus. Cyprus Recruiter is a leading recruitment agency in Cyprus specializing in assisting employers and job seekers to find the right candidates for fuelling their business dynamic and career prospects respectively. Search Cyprus Recruiter for jobs in Cyprus for all industry sectors. Cyprus Trader offers an unmatched searching and listing classifieds service for Cypriot internet users. Sell or buy products in Cyprus through Cyprus Trader classifieds. 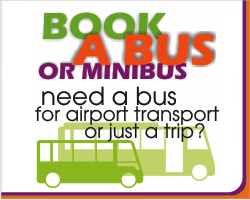 Cyprus By Bus is a website that provides information about buses, bus routes and bus time tables in Cyprus. Cyprus Trader Classifieds offers listings of new and used cars in Cyprus. Compare prices and attain the best possible car for your budget. In this classified section you can search through a variety of new and used cars as well as other automotive related products.